Looking for Big Data training in Raleigh-Durham, NC or anywhere across the country? National Business Training offers Cloudera certification courses to help achieve your objectives. Cloudera is the leader in Big Data open-source software, building its portfolio upon Apache Hadoop and other popular open-source projects such as Hive and Pig, Spark, and HBase. Cloudera Hadoop training can be critical to staying on top of the technological challenges of the new big data world. National Business Training offers Hadoop online training that is 100% instructor-led on a cloud-based platform. Apache Hadoop is the most widely used open-source software for optimizing data management by putting the right Big Data workloads in the right systems. Comprehensive training on Hadoop, whether you are a developer, administrator, or data analyst, ensures that your organization can reap the benefits of a Big Data implementation. Cloudera Hadoop Certification is a widely recognized and sought-after Hadoop qualification. Begin building your data management strategy with Hadoop so you become a Cloudera expert today and better evolve in an open source world. 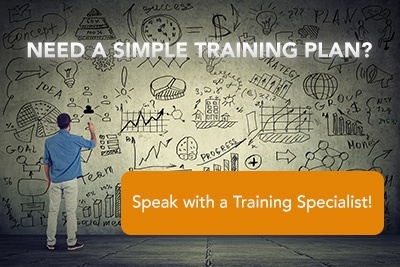 Discover how National Business Training can help you achieve Cloudera certification with a Training Solutions Plan today! Cloudera University’s four-day data analyst training course focusing on Apache Pig and Hive and Cloudera Impala will teach you to apply traditional data analytics and business intelligence skills to big data. Cloudera University’s three-day training course for Apache Spark enables participants to build complete, unified Big Data applications combining batch, streaming, and interactive analytics on all their data. This training course is the best preparation for the challenges faced by Hadoop developers. Participants will learn to identify which tool is the right one to use in a given situation, and will gain hands-on experience in developing using those tools.